There's nothing like a summer wedding, and no time more "summer" than the hot days of August. 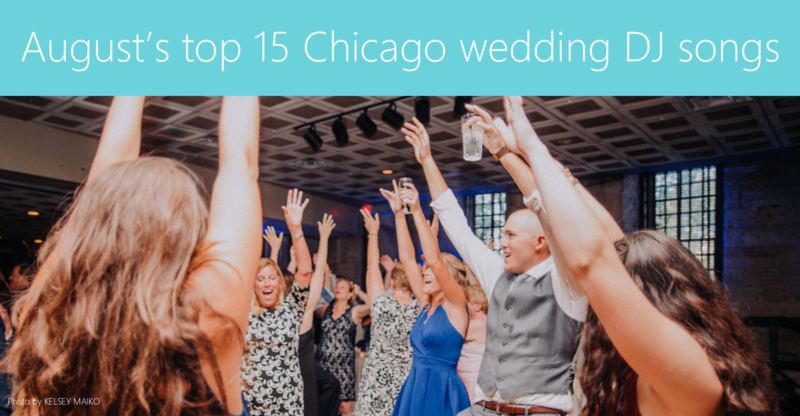 As couples all over Chicago took advantage of the warm weather and Chicago's best wedding venues, we were there to help them heat up the dance floor with with Chicago's best DJ songs. And which songs would those be? Every Monday, we ask our wedding DJs which songs killed on dance floors over the weekend. Here are their top 15 picks for the month of August 2017.